We understand that a visit to your vetereinarian can be stressful for some pets. These suggested tips will help make your visit with us as quick and as stress free as possible for both you and your pet. We can't wait to meet you! Please arrive 10-15 minutes earlier than your appointment time to fill out any required paperwork. To help ensure the safety of your pet, other pets and our staff, please make sure that your pet is either on a leash or in a carrier. (It is the Law.) If your pet has been seen by a veterinarian in another hospital, please bring any medical and vaccine history to your appointment. If you cannot obtain the history, please bring the name and phone number of the hospital and we will try to obtain the history during your appointment. Please bring a list of any medications, including the prescribed dosages that your pet is currently taking. If you have a new puppy or kitten, please bring a stool sample. Do not hesitate to let us know if you will require any assistance with moving your pet from your car to our office. Wellness visits are very important for your pet. This is when we make sure your pet is healthy, along with giving you any up to date information on preventive ways to keep your pet healthy. A wellness visit includes your pet's complete examination. Any vaccinations that are due can be administered at that time at our vaccine clinics discounted price. When you are bringing your beloved pet to the hospital because he or she is sick, it can be concerning. Hopefully this will help you to understand what to expect. The veterinary technician will weigh your pet and get a temperature. The examination will be done in the exam room with the veterinarian, unless your pet's personality prefers to be in the treatment area. A treatment plan will be created specifically for you and your pets needs. For some procedures, such as blood draws and x-rays, we will take your pet to our treatment area where our highly trained staff can safely hold your pet. The veterinary technician will have a treatment plan and anesthesia consent form to go over with you and for you to sign. For most anesthetic procedures the veterinarian will recommend pre-anesthetic blood work prior to the surgery day and/or IV Catheter and fluids. When the surgery is completed, we will call you and schedule a discharge appointment. At discharge, a technician will go over the post surgical instructions with you. Once all of your questions have been answered, we will bring your pet to you to snuggle and go home. 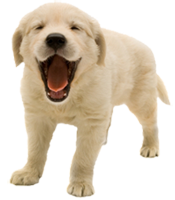 In the case where your pet needs emergency treatment, we will promptly take your pet to the treatment area. As soon as we have information to relay to you on your pets status, we will let you know and present a treatment plan. Some emergencies require immediate authorization for treatment, for these cases we have a critical care authorization sheet for you to sign. Once your pet is stabilized the doctor will come in to talk about your pet's condition and let you know their recommendations. Then our veterinary technician will go over a treatment plan for any further treatments or diagnostics the doctor might recommend. We also offer payment plans for unexpected visits which you can discuss with the staff. The end of one of our pet's life is always one of the most difficult times in your life. We understand this and hope we can help you to anticipate what will occur. Sometimes, you can schedule an appointment for euthanasia when you feel your pet's quality of life has declined tremendously. Sometimes, that is not the case and you may not have anticipated being faced with the decision of euthanasia. In either case, you have a couple decisions to make. Those decisions are if you would like to be present at the time of euthanasia and which type of aftercare you would like. Being present during a euthanasia means you are in the exam room, and can hold, touch, and talk to your pet during the euthanasia procedure. If you are not comfortable with this we can take your pet to our treatment area. There is no right or wrong choice. This decision is solely based on your comfort level. We treat your pet with the same humanity and kindness either way. The second decision you will need to make is in regards to the aftercare of your pet's body. We work closely with a highly reputable cremation service. You can choose to have your pet cremated individually or communally. A communal cremation means more than one pet is cremated at the same time and the ashes are spread across a field. An individual cremation means only your pet will be cremated and you will receive his or her remains (ashes) in an urn.